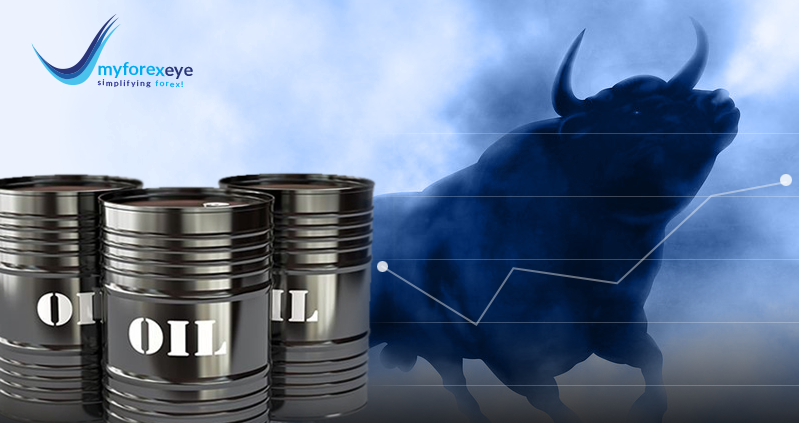 Crude Oil (WTI):- The crude oil (WTI) has marked its recent peak at $55.72 on 4th Feb 2019, after that - price turned back after an attempt towards the short term trend-line resistance. Refer the 4hour chart, in which the black gold is hovering close to its 200 period simple moving average (green coloured line) - the simple average would probably act as decent support for the oil. 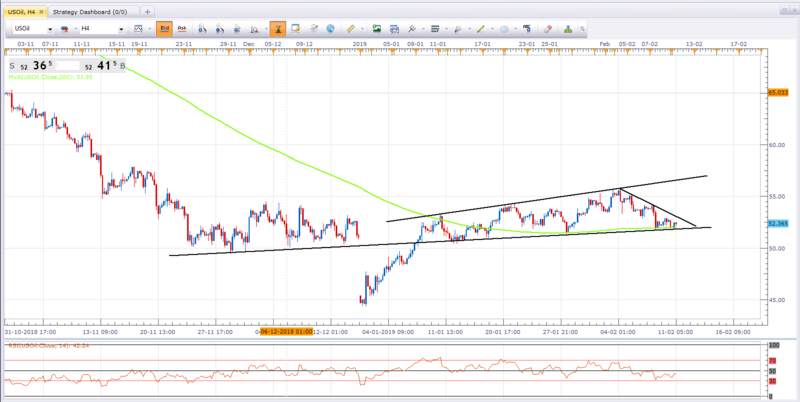 A trend-line support at current level is also there, which will help oil (WTI) bulls to move the price higher in future. Relative Strength Index (14 period) is at 40 mark, close to its oversold zone - signals that price action is nearing their reversal territory. Once the price, breaks above with the range of 53 mark then a valid sign for a move towards $56.50-57.00 will gets confirmed. A close below $51.75 will negate the above view.